The creation of our top 10 list of best undergraduate accounting programs in Connecticut was formulated by reviewing how each school ranked in websites and publications like BYU, Bloomberg Business, US News and World Report, LinkedIn, Forbes, Princeton Review, TaxTalent, Public Accounting Report (PAR),and College Factual. We also took into consideration the programmatic accreditation of the schools. All of the schools on our list are regionally accredited, but some have business-specific accreditation as well, the most prestigious being from the Association of Advanced Collegiate Schools of Business (AACSB). Fairfield University is a Jesuit liberal arts academic institution whose "objectives include promoting a sense of social responsibility, and making sure all students embrace and develop their full creative, intellectual potential". U.S. News and World Report ranks Fairfield University as being tied for 3rd among the best Regional Universities for the North region. College Factual has rated Fairfield University as the 5th best university in Connecticut. The Charles F. Dolan School of Business is AACSB accredited and is ranked 58th in Bloomberg Business's Top Undergraduate Business Schools Rankings. Fairfield University requires its accounting students to earn 120 credit hours to graduate. The business school also offers a fifth year option that would yield accounting majors a Master's of Science in Accounting in just one year. This option would adequately satisfy the 150 credit hour requirement to sit for the CPA examination. BYU found that Fairfield University ranked 146th in Auditing research publications produced by the university's business school faculty. Also, Fairfield University has an 11:1 student to faculty ratio with a four year graduation rate of 81%, according to LinkedIn. Sacred Heart University (SHU) is the second largest Roman Catholic university in the New England area and it is located in Fairfield, Connecticut. According to the U.S. News and World Report SHU is tied for 38th amongst the Best Regional Universities in the (North). Also College Factual has stated that SHU is the 8th best university in the state. Sacred Heart University has the AACSB accreditation and is ranked 87th in Bloomberg Business's, Best Undergraduate Programs, which marks it as one of the state's best business schools. SHU's Jack Welch College of Business offers a Bachelors of Accounting and Information Systems and a fifth year option the nets students a Bachelors of Accounting in four years and a Master of Science in Accounting and the remaining fifth year. BYU has also found that SHU ranks 193rd in financial accounting research publication produce by its faculty. Students at SHU have internship opportunities at companies like General Electric, J.P. Morgan Chase, Prudential Securities, Merrill Lynch, KPMG, and PWC. Some of the notable companies graduates of SHU have begun the careers with are Sikorsky Aircraft, GE Capital, and People's United Bank according to LinkedIn. LinkedIn reports that SHU has a 14:1 student to faculty ratio and 63% of the students graduate within four years. U.S. News and World Report ranked Quinnipiac University tied for 9th among the Best Regional Universities (North) rankings. Forbes also found Quinnipiac University to be 305th among America's Top Colleges. Quinnipiac is ranked the 7th best university in the state. Quinnipiac University's School of Business and Engineering holds an AACSB accreditation. Quinnipiac has been determined by BYU to rank tied for 118th for accounting research publications written by its faculty. 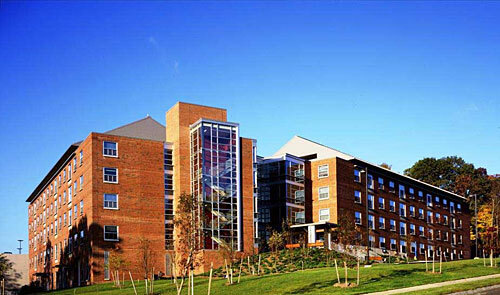 Quinnipiac University also ranked 76th in Bloomberg Business's Best Undergraduate Business School's. In order to earn a B.S. in accounting Quinnipiac University's accounting majors must obtain 125 credit hours. The curriculum features a broad business education, "designed to foster the technical competence and analytical skills required to maximize each student's potential as a business professional". Some of the coursework students will undertake are nine credit hours of Intermediate accounting, cost accounting, accounting for business combinations, and six credit hours for auditing and taxation, respectively. Quinnipiac University's class settings are intimate with a student to faculty ratio of 12:1 and the university graduates 75% of its students in four years as reported by LinkedIn. The University of Connecticut (UConn) is a large public research university. The U.S. News and World Report ranked UConn as being tied for the 58th Best National University, which makes UConn the state's leading business school on a national basis. UConn has also been ranked as the 4th best university in the state. Bloomberg Business ranked UConn as the 65th Best Undergraduate Business School. Also, BYU ranked UConn tied for 40th for Taxation Accounting Research publications produced by its faculty. Public Accounting Report has ranked UConn as the 39th best accounting program in the country. 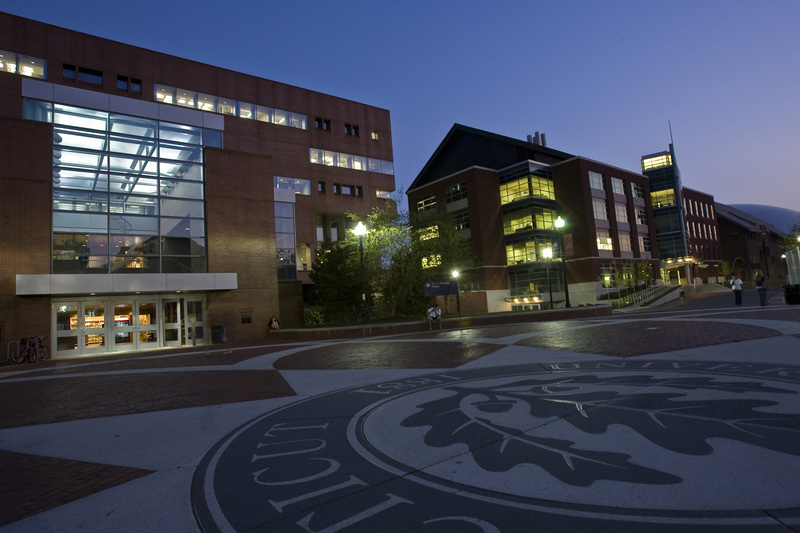 UConn is AACSB accredited and offers a Bachelors of Science in Accounting. UConn currently graduates 82% of its students within four years according to LinkedIn. The graduation requirement for UConn's B.S. in Accounting is 120 credit hours and the curriculum "emphasizes the leading developments in the field of accounting while utilizing the most current and practical technologies". UConn also offers masters and doctoral degrees for students that wish to continue on the academic within the accounting field. The University of Hartford (UHart) is a private nonsectarian university whose goals are "to be dedicated to learning, knowledge creation, and engaging students seek knowledge, enhance their skills, and maintain the values that will help them to be meaningful contributors to society". The U.S. News and World Report has rated UHart tied for 83rd among Regional Universities (North) and College Factual ranked UHart as the 10th best college in Connecticut. The University of Hartford's, Barney School of Business focuses on "providing its accounting students an education that will prepare them for entry level employment within the accounting field and the acumen to pursue accounting certifications like the Certified Public Accountant (CPA) or the Certified Management Accountant designations". The Barney School of Business is AACSB accredited. UHart's accounting students will need to take 123 semester credit hours to graduate. Also, students that wish to acquired the 150 hour education requirement to sit for the CPA exam may choose to undertake a fifth year and earn a Masters of Accounting and Taxation Masters degree. On average the student to faculty ratio is 12:1 which allows for plenty of time for student with the faculty. One of the advantageous things about UHart's location is its proximity to the state capitol and many large businesses and corporations. This connection has enables student the gain internships and post educational employment with The Hartford, Travelers, Pratt and Whitney, and the state government. Eastern Connecticut State University (ECSU) is ranked as the 12th best school in the state according to College Factual. ECSU is ranked tied for 103rd among the Regional Universities (North) rankings, according to U.S. News and World Report. Eastern Connecticut State University is a Liberal Arts university that offers a Bachelors of Science in Accounting which means the university's emphasis is in fostering the abstract thought needed to excel in the Humanities studies like philosophy and ethics along with the rigors of scientific theory. Students will complete 120 credit hours to graduate with an accounting degree, with 60 credits consisting of core business and advance accounting courses. ECSU has a 16:1 student to faculty ratio with a 53% four year graduation rate according to LinkedIn. ECSU also offers a Master's of Science Accounting degree for those that plan to obtain a CPA certification. Central Connecticut State University is AACSB accredited. Also, BYU reported that The Vance School of Business's research strength is in Taxation. CCSU's accounting program requires 122 credit hours in order to graduate with a Bachelors of Science in Accounting. CCSU states that its accounting "program provides the background necessary in areas of accounting such as financial reporting, auditing, taxation, cost management, accounting information systems, and management advisory services" for graduates to be successful professionals. CCSU has a 16:1 student to faculty ratio according to College Factual. LinkedIn reports that a number of financial services institutions employ CCSU's graduates, namely The Hartford, Travelers, Aetna, and Cigna. Western Connecticut State University (WCSU) ranked tied for 135th among the Regional Universities (North) rankings according to U.S. News and World Report. College Factual has also ranked WCSU the 15th best university in the state. Western Connecticut State University is a public school that "provides its students with an education that focuses on the common body of accounting knowledge, and the development and application of skills needed for entry into their profession". To graduate with a Bachelor of Accounting students will need to complete 122 credit hours of coursework. Students will have the option to focus their education towards one of two areas, Financial Accounting or Managerial Accounting. The Financial Accounting tracked prepares student to sit for the Certified Public Accountant (CPA) exam while the Managerial Accounting Tracked prepares students for the Certified Management Accountant (CMA) exam. The University of New Haven (UNH) is a private nonsectarian university that values "providing the highest quality education through experiential, collaborative and discovery-based learning". The U.S. News and World Report have ranked UNH as being tied for 98th among the Regional Universities (North) rankings. Also, UNH has been rated the 11th best university in Connecticut by College Factual. The University of New Haven is accredited by the AACSB international. To graduate with a Bachelor of Science in accounting, students will have to complete 121 semester credit hours of accounting and business courses, core curriculum, and electives. Students that wish to meet the 150 hour educational requirement to sit for the CPA exam can apply to enter UNH's Masters of Science in Taxation. The core courses accounting students will take are Intermediate Accounting, Cost Accounting, Advanced Financial Accounting, Audit and Assurance Services, and Federal Income Taxation. The student to faculty ratio is 16:1 and 56% of UNH's students graduate in four years. UNH graduates have been reported by LinkedIn to go on to work for Sikorsky Aircraft, Pfizer, and ESPN. The University of New Haven is also located in between the metropolitan cities of New York and Boston which expands student's prospects for gaining internships and post educational employment. The University of St. Joseph is located in West Hartford, Connecticut. The U.S. News and World Report has ranked this institution as being tied for 87th among the Regional Universities (North) rankings. Also, College Factual has ranked the University of St. Joseph as the 10th best university in the state. The University of St. Joseph is a Women's liberal arts college that offers a Bachelor of Science in Accounting. Students will need to take 82 credits in their business and accounting core curriculum in addition to the general core and elective requirements associated with a liberal arts degree. Student may also earn a Master's of Science in Management to satisfy the education requirements in order to sit for the CPA exam. The average student to faculty ratio is 10:1 which affords students an intimate class setting with easy access to instructors. Some of the business classes that students will take are Businesses in a Changing World, Human Behavior in Organization, and Financial Management. The accounting classes students will take are Principles of Accounting, Intermediate Accounting, Cost Accounting, Advanced Financial Accounting, Auditing, and Taxation.